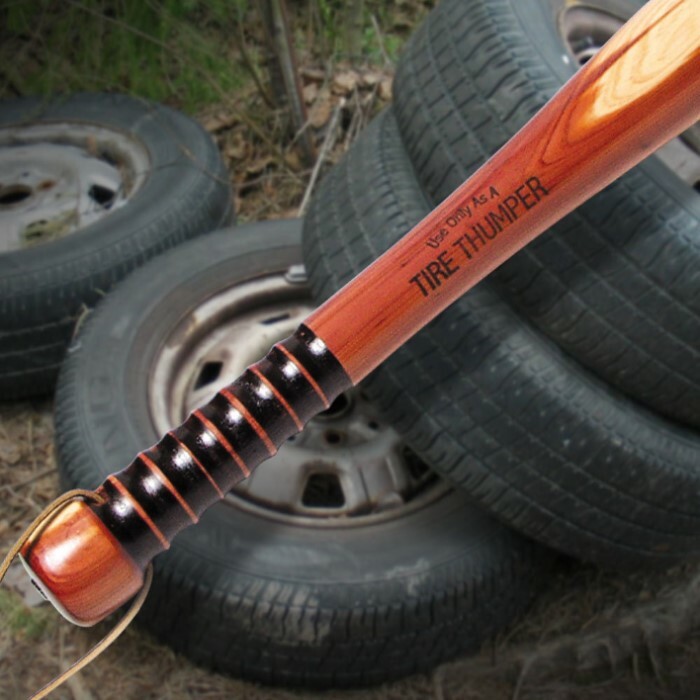 Tire thumpers give you an immediate inflation check on your vehicle tires. 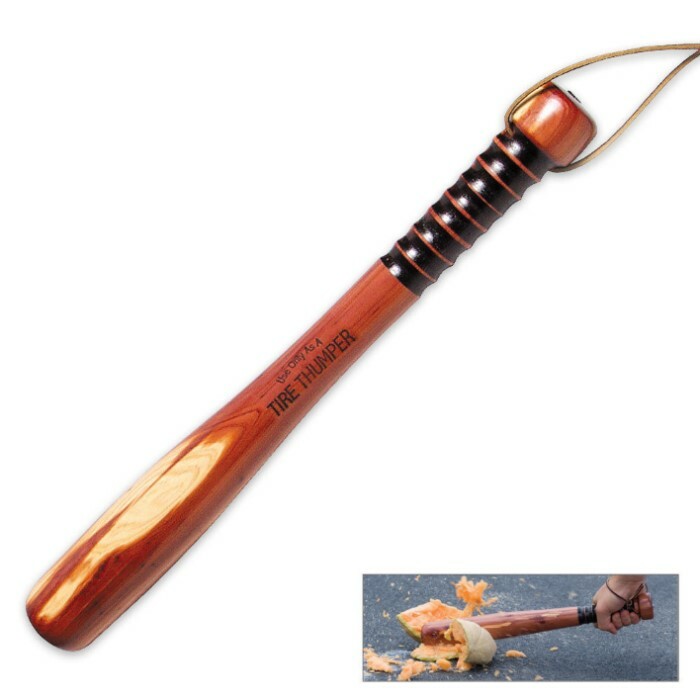 Features extraordinarily durable cedar constructed with a solid metal core, a leather strap, and grooved handle. Measures 19" long x 2" diameter. Weights 20 oz. Strong as hell. Will never break on you. Ordered one. Like it. It's just as the Ad said. The "Thumper" is well made and feels solid. The leather strap is a nice touch and the size is adequate. My only improvement would be to cover the handle with some type of sticky tape or coating as it feels like it could slip from your hands. Exactly what I ordered and perfect for my uses. Thank you. Thought this had a lead core, it is so hard. Right size for woman or man. The grip needs stick-um or rubber, though, a bit smooth. It's short. Great tool well made. I keep it in my trunk.